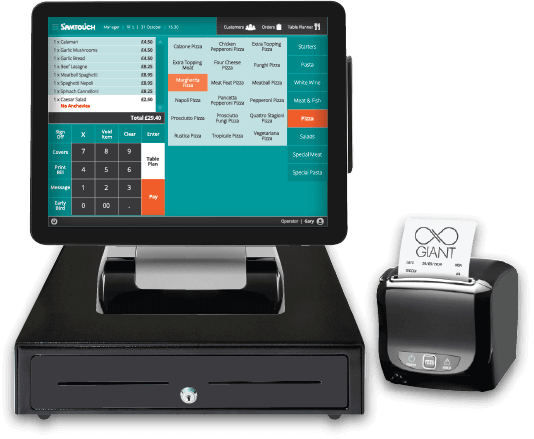 SamTouch operators can now access the functionality of ResDiary from within the SamTouch EPOS Solution. With the two way communication between SamTouch and ResDiary, users can manage their bookings, walk ins, and other important table information seamlessly between the two systems. Important customer information can be passed from ResDiary to SamTouch and SamTouch keeps ResDiary informed about table status and customer spend.